Dr. Grise earned his medical degree from the University of Massachusetts Medical School and completed residency training in internal medicine at the UCLA Medical Center in Los Angeles, Calif. He completed advanced fellowship training in cardiology and critical care at UCLA and the Scripps Clinic in LaJolla, ... Read More Calif. In 2001, he completed fellowship training in interventional cardiology at Scripps Clinic. 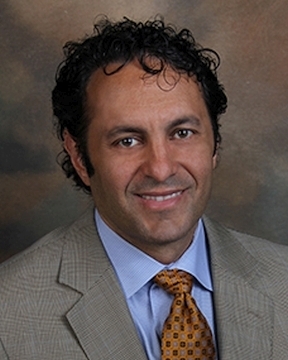 He is board certified in cardiology, interventional cardiology and endovascular medicine. Dr. Grise specializes in interventional cardiac and peripheral artery procedures. He performs minimally-invasive procedures to restore blood flow through narrowed or blocked coronary arteries. He specializes in performing these procedures through the radial artery in the wrist, offering patients a safer and more comfortable procedure compared to the traditional placement of a catheter into an artery in the groin. He has participated in numerous research trials and has been involved in teaching physicians new interventional techniques. In his free time, Dr. Grise enjoys traveling, reading and exercise.